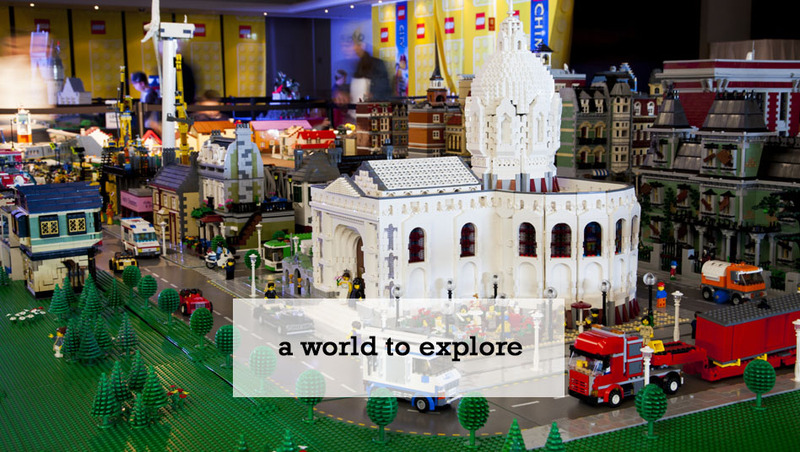 Mega 10 Metre LEGO City (over 350,000 Lego bricks) - This is the major exhibition highlight - a spectacular miniature town (over 10 metres long) complete with light up buildings, working railways and populated streetscapes. The striking small-scale landscape will delight Lego lovers of all ages. Colossal Star Wars Scene - includes the famed Han Solo's Millennium Falcon as the centre piece. Giant Georgian Dolls House & Interior (over 50,000 Lego bricks & 300 hours to build) - This display has been built so you have the opportunity to peek inside the house and see the intricate details. Guessing Competition & Prizes - Can you guess how many LEGO pieces in the giant bowl? Test your skills and go into the draw to win a LEGO set. Daily Kids Lego Building Competitions & Prizes - Show off your LEGO building talent and perhaps win a prize! Build at the show with judging and prizes at the end of each day. Junior Entry 6-10 Year Olds. Intermediate Entry 11-16 Year Olds. Lego Building Tables - Let the kids enjoy playing and building at our LEGO tables. Let their imagination run wild as they dream up their favourite LEGO constructions! Huge Lego Shop - Browse Casey's Toys huge LEGO range where you'll find all the latest in LEGO products, games and merchandise. We have City, Star Wars, Friends, Technic, Duplo, Mindstorm, Creator, Speed Champions, Architecture, Brickheadz, Disney, Elves, Juniors, Minecraft, Jurassic World, Minifigures, Ninjago, Super Heroes, World Of Wizards, Harry Potter, Movie 2, Ideas and all Classic LEGO bricks, base plates and accessories. FREE Vouchers - All attendees will receive discount vouchers to Casey's Toys & Christmas Warehouse. Cameras Allowed: Of course! Share your pics with your friends.